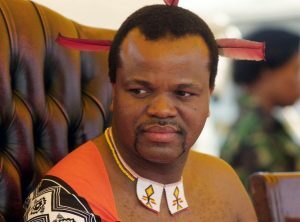 Swaziland’s King Mswati III says he is renaming the country as the Kingdom of Eswatini in commemoration of the nation’s 50th independence anniversary which coincided with his own 50th birthday. Swaziland, a Commonwealth member, got her independence from South Africa on September 6, 1968, and it maintains absolute monarchy, supported by a 1975 constitution. King Mswati III was born about five months earlier on April 19, 1968. The monarch announced the official change of the southern african country’s name at Golden Jubilee celebrations for the 50th anniversary of Swazi independence. 0 Response to "Swazi King renames country in celebration of birthday"